As a teenager, Travis Hale Stewart hitchhiked to Burning Man — the annual community and art experiment in Black Rock Desert, Nevada — without water and only $200 in his pocket. There he saw three 20-foot sculptured faces set to opera music. One was made of copper and cried fire; one was wood that cried sand; and the last, grass, cried water. From that moment, he says he knew no matter what he had done in the past or what might happen in the future, that everything would be fine. And so he decided on the spot that he would do what he wanted with his life and it would be totally fine if he failed. That wasn’t just Burning Man talking. 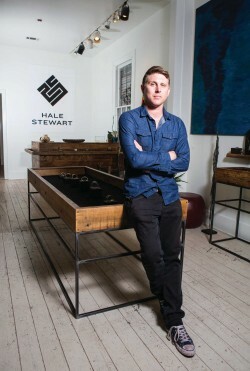 Today, Stewart has opened his own jewelry boutique — Hale Stewart — on Magazine Street and is hard at work on the culmination of his 15 years of experience; his first fall collection is due out Oct. 1. 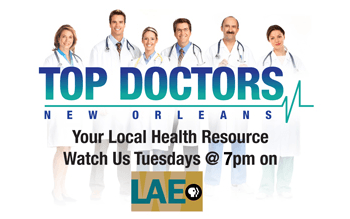 He has been in New Orleans 10 years, at first helping to rebuild after Katrina. In 2008, he started working for Thomas Mann learning old-school American metal-smithing and, afterwards, working with Mignon Faget, who taught him everything he knows about manufacturing, branding and marketing; fine jewelry technique; and traditional European silver work. His “no fear” mantra factored heavily in to his decision to go solo: “I was born ready and I have a good imagination, so I took the opportunity, which I couldn’t pass up,” he says. He’s painted, welded and played in bands for years. Music is still a huge part of his life, but nothing, he says, has been as personally and directly gratifying as making jewelry.